The Kurds remember this story only too well, and fear that they are once again being used as bargaining cards in the Middle East by Russia and the US. After providing them with arms since entering the Syria war last September, and insisting on their participation in the Geneva peace talks, the Russians are now looking the other way as Syrian warplanes attack Kurdish positions in the town of Al-Hassaka, trying to please Turkish President Recep Tayyip Erdogan. The real Kurdish problem, after all, is deeply rooted in Turkey, where Kurds stand at anywhere between 18-20 per cent of the population. If their dream project ever materializes, 50 per cent of “historic Kurdistan” would have to be carved out of the modern Turkish republic. Between the years 1980-1991, the Turkish government banned the use of Kurdish in schools and on radio and TV, as well as prevented Kurds from giving their children Kurdish names. For years the words “Kurds, Kurdistan, and Kurdish” were officially banned in Turkey. It remains illegal to use Kurdish in schools, although Prime Minister Tansu Ciller tried to change that in 1993, but her proposal was rejected by the Turkish Parliament. Kurdish political parties in Turkey are officially banned and their leaders have been, exiled or killed. The Kurds have been a nightmare for every Turkish leader since the break-down of the Ottoman Empire at the end of the first World War. The Turkish government has crushed Kurdish rebellions in 1925, 1930 and 1937-1938. The city of Diyarbakir, underdeveloped compared to the rest of Turkey, is currently facing an all-out war between government troops and the PKK. Kurdish regions in general are neglected by the central government, receiving no more than 10 per cent of state industrial investment and only 2 per cent of commercial investment. Unemployment is high and so is neglect. Neighbouring countries such as Iran, Iraq and Syria have exploited the Kurdish problem in Turkey, mainly to pressure consecutive regimes in Ankara, and to keep the Kurdish wolf away from their own doorsteps. Even Greece has exploited the Kurdish problem and assisted the Kurds, to weaken Turkey in the fight over Cyprus. The main threat to the Turks remains the infamous Kurdish Worker’s Party founded in 1978, and its leader, Abdullah Ocalan. Turkey spends an estimated $8 billion (Dh29.4 billion) a year combating the PPK and has commissioned 200,000 troops to fight the Kurds, and 30,000 Turkish soldiers have died in an ongoing war between both parties since 1984. Dozens of villages have been bulldozed and thousands of Kurds have been uprooted. Damascus, Tehran and Baghdad supported PKK leader Ocalan, who lived for many years in Syria and had bases in Rezhan and Ziveh in Iran. Ocalan did not call for autonomy – he wanted an independent Kurdistan. At two points, the Turks raided the Kurdish parts of Iraq, in 1992 and 1995. They even promised to defend the Iraqi Kurds against Saddam Hussein if the Kurds allowed them to enter Iraqi Kurdistan and hunt down PKK fighters. Iranian Kurds, an estimated 7 million people, are also supportive of an Iranian Kurdistan, inspired by their compatriots in Iraq. Their demands for limited autonomy, the right to use their language, teach Kurdish at their schools and appoint officials have all been turned down by successive Iranian governments. Iranian Kurds originally supported the Khomeini Revolution in 1979, hoping that it would emancipate them and grant limited freedoms, but they were shunned by the mullahs of Tehran. The disappointed Kurds took up arms in March 1979. One faction emerged, headed by the Iranian Kurdish leader Ahmad Muftizadeh of Sanandaj (a Kurdish town in Iran), who was willing to settle for limited concessions from Khomeini. Kurdish nationalists refused to accept a compromise, demanding a share in the national revenue of Iran – to be used for expenditure in Iranian Kurdistan — and administrative autonomy for the district. They also made the ongoing Kurdish demand for having Kurdish as an official language. They agreed to keep national defense, foreign affairs, and central banking in the hands of Tehran but demanded the right to man and control the security of their cities and towns. Khomeini curtly refused these demands and fighting resumed in August 1979. The attention and force of the Iranian military in crushing the Kurdish movement was diverted when Iran went to war against Iraq in 1980. It was then fighting on two fronts, the Iraqis on the border and the Kurds at home. This weakened the Iranian military, and the Kurds became strong in the Iranian countryside, remaining in control until the government retaliated with force in 1983. Wide scale persecution followed, and the Kurdish Democratic Party was forced to move to Iraq, where it was, ironically, received with open arms by Saddam Hussain. Temporary alliances in the Iran-Iraq War made the Iraqis welcome Iranian Kurds wanting to carve Kurdistan out of Iran. It also made Iranians welcome Iraqi Kurds in Tehran for wanting to create Kurdistan out of Iraq. Both manoeuvres backfired. Briefly, the situation of Syrian Kurds was better than that of their compatriots in Iraq, Iran, and Turkey. 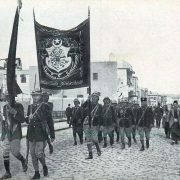 During the years of French colonialism and the early independence era, prominent Kurds reached senior government positions and were treated as first class citizens. 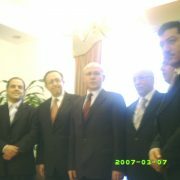 At least two presidents, Husni Al Zaim and Adib Al Shishakli, and two prime ministers from the Barazi family of Hama were Syrian Kurds. Syria’s long-serving Grand Mufti of the Republic, Shaikh Ahmad Kaftaro was a Kurd with paramount standing both in the clerical community and on the Syrian street. The Kurds got their first political party in 1957 but have generally been prevented from political conduct since the early 1960s although the long-serving founding president of the Syrian Communist Party was Khaled Bakdash, a Damascene Kurd. The Kurds comprised anywhere between 10-12 per cent of Syria’s 23 million in early 2011. Approximately 100,000 Kurds were stripped of their nationality in a controversial 1962 census, creating a major Kurdish problem for Syria. Under the Baath, they were denied the right to use their language, open schools, and hold Syrian IDs, although Damascus played host to Iraqi Kurdish leaders like Jalal Talbani and Masoud Al Barazani, and Turkish ones like Ocalan. 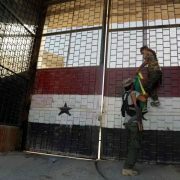 In March 2004, violence broke out in al-Qamishly near the Turkish border, between Syrian police and Kurdish teens, reportedly over anti-Kurdish chants at a football match. President Al Assad promised to address the Kurdish issue, but it was only settled seven years later in early 2011, after outbreak of the Syrian conflict. By then the number of un-registered Kurds had swollen to over 300,000. This early appeasement, along with Turkey’s embrace of the Syrian Opposition, put the Kurds in relative neutrality throughout the past five-years. 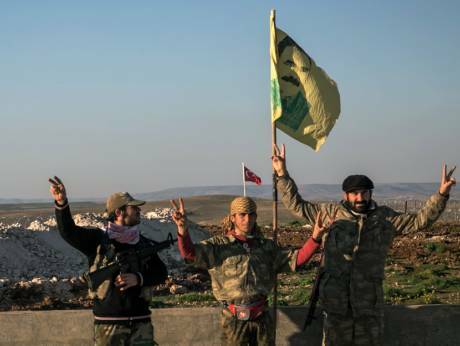 They stood at arms-length from government forces and the Turkish-backed Free Syrian Army (FSA), concentrating on state-building in their main towns of Al Qamishly, al Hassakeh, and Afrin, filling a vacuum left behind by the absence of government authority, and on combating Daesh. Until the outbreak of the current conflict, their primary concern was citizenship rather than autonomy. 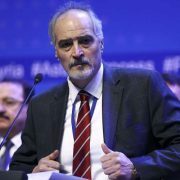 Inspired by the total collapse of law and order in the Syrian north and the central government’s inability at protecting them against Daesh, they took up arms and set up their own armies, namely the People’s Protection Units (founded in 2011) and the Syrian Democratic Forces, established in October 2015. Like their compatriots in Iraq, Iran, and Turkey, they too are now working for total autonomy of Syrian Kurdistan.